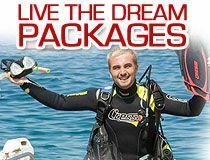 Live the Dream with Asia Divers. | . Live the Dream with Asia Divers. If there is a better way to escape the rat race I don't know it.